I found your website and it peaked my interest, I was skeptical though, as the claims were very dramatic and I’ve been a martial artist 29 years and a teacher for 24 of that in multiple disciplines. I figured, I’d pick up a few tips maybe to improve my toolset and all would be good….I….was…Naïve!!! Not only was the course immediately jarring and enlightening, but it was simple enough that as the Geico commercials used to say “A caveman could do it.” If anything, you have dramatically understated what you’ve offered in this course. So…what did I learn from this course? • I learned what makes an art true and why, including how to put together the four facets into a cohesive element. • I learned more about rooting/grounding than I had in 10 years of Bak Sil Lum, but was expected to know in for lohan Chuan and Baji Chaun. • I learned the three rules, which other than politeness, I’d never heard before, yet were so simple, as if they were hidden right under my nose the whole time! • I learned the true meaning of the yin/yang. • I learned how to teach, so that I didn’t overwhelm a student with data and send them packing. I especially liked the breakdown of teaching a sequence then the bunkai and having the student attempt to ascertain the application so that they feel like they own the technique…BRILLIANT! • I learned the 2 purposes of the legs and the purpose of a strike….this was exceptional btw! • I learned the six tools, which I’ve already applied to a dozen of so techniques and have improved from doing so. This alone makes the course worth twice the price! If you need to ask any questions on what I’ve garnered from the course before sending me a certificate, feel free anytime sir. I know there is a small question coming up. The Professional Matial Arts Instructor Course. then the student has to apply it. It is more suited for the dojo. showing fixes for common problems. It is more suited for teaching in gyms, health clubs, and so on. It is designed to help people get started teaching MA outside the dojo. you just have to figure out which is best for you. Are you going to stay in the dojo? Here’s an example of the differences between the courses. is given the seven principles of perfect form. and see which of the seven principles is out. that the student is getting insufficient impact from his front snap kick. to help the student fix his form. The MI course assumes the instructor is experienced. giving hints and fixes galore. to help people break into martial arts teaching. sometimes people don’t make it. if you get the gym owner to believe in you. A certificate as a Professional Martial Arts Trainer will help. I used to charge $100 an hour. This was back in the eighties. Helped me get started when I moved to Los Angeles. it really made my day. to make the martial arts a viable career. but just need the data. for those who want to go through the traditional training. Fred picked the option that is excellent for him. He already has much experience. Have You Beaten Up a Mixed Martial Artist Lately? to use matrixing against MMA. Except that matrixing is about putting logic into the martial arts. that you understand how they fit together. It is about the martial arts as one art. one could learn enough martial arts that one could defeat an MMA stylist. or any other specific style of art. But that isn’t the point! is the new best martial art. You become a better fighter. 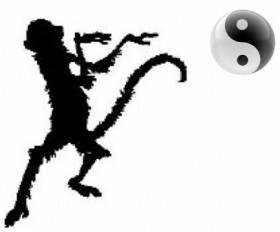 You become a better martial artist. so that you understand everything about it. your art is separate and unique. the martial arts are taught by style and system. But the real martial art is the one that grows in you. to the unique take you have on the martial arts. to make an art that is perfectly suited to you. that poses one art against another art. then put them together your own. Matrixing is the science that helps you do that. a logical slice of certain concepts. through all the arts I teach. Is there a Matrix MMA? But I don’t know it because I haven’t studied MMA. is part of an arena of the martial arts. from the MMA point of view. by the spirit of the question. then check your understanding of Karate. that includes ALL martial arts. 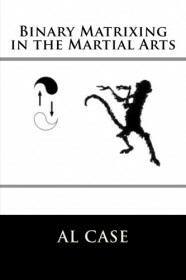 Real Martial Arts Knowledge is Where You Find It! It is so beautiful today…PERFECT for a work out! there is a definite sequence of material to consider. a few facts that might or might not have anything to do with anything. Because a newspaper sells tragedy by screaming it out. the articles are more in depth. This is actually pretty obvious stuff. BUT…have you converted it to the internet? Most people watch the TV to get mad. They listen to the news and walk away pissed off. so you’ll tune in tomorrow. Blogs and newsletters, oh my. or who are easily titillated. but…lots of crap out there. But, it is a good way to find out about…videos. a video is worth a million. the one bad guy that we all (me included) latch on to. Here’s the problem with youtube. we would pour over those mags. and even the publication notices on the front page. It was our only source of information! We were starved for information! the replacement for magazines does more harm than good. looking for…the latest knock out. The guy getting hit by the car. have become seduced by the salacious. They don’t want to learn. by the joy of combat. why do I tell you about this? Merely so you’ll think about it. only a few people who get it. and the exact method of how to do the martial arts. than salacious, titillating knock outs. and last your whole life. it will tell you how I came up with the science of matrixing. have a FANTASTIC work out! Monkey Boxing the Most Original Art Ever! So special I am issuing two newsletters on the same night! there is NOTHING like what I am about to do. 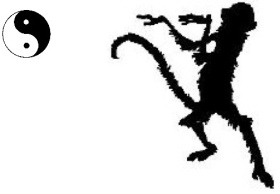 Click here to go to: MonkeyBoxingNow.com! They need to understand the science of the martial arts. I have provided many paths for people to master the martial arts. and The Master Instructor Course. So what could be better than that? for as little as $2.50 per week. Monkey Boxing is MY art. which are offered on MonsterMartialArts.com. tied together by The Master Instructor Course. and how they were developed. And ALL my drills and exercises. And you can ask me questions. to teach you my art. a specific order to all this stuff. as I teach the video course. based on what my students need. and be able to focus on that order. this course DOES NOT replace matrix ing. it is the martial arts in order. because I need to express myself. and see if it is for you. Newsletter 833 ~ subscribe now! Pa Kua Chang and Indian Stealth Skills! and I am in heaven. Let me share a little of that heaven with you. which relates to the martial arts. of the native American Indians. The other four articles will be coming out over the next month. the greatest light infantry in the world. bows and arrows, knives, hand to hand, and so on. And, they were masters of stealth. they had to be able to sneak up on wild animals. or step on a twig. Do it so well that a deer won’t hear you. Have you ever seen how big a deer’s ears are? The way they walked was very specific. sufficient to alert an animal. sensitive to whatever they were walking on. and without alarming the animal. students of Pa Kua Chang walk. sensing the ground through the feet. This eliminates slippage on icy, grassy, wet whatever surfaces. it enables the student to grip the ground. Walk so you won’t slip in mud. with no wasted (as in audible) energy. both methods are used to build awareness. of whatever is going on around you. I have to suppress laughter. that made them possibly the finest warriors in the world. you will find that they were geniuses of combat. but I have studied methods that closely align. Here’s the link to Pa Kua Chang. it will be well worth the journey. and the stealth abilities of the American Indian.